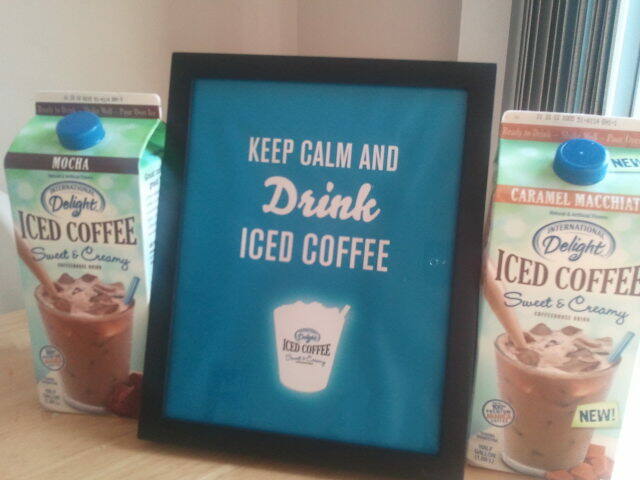 I drink iced coffee drinks year round so when I heard about International Delight’s new Iced Coffee that I could buy at my grocery store I had to try them. I fell in love with the fact that for less than $4 a container I could stay home in my pajamas and enjoy some “me” time over a glass of cold, delicious Iced Coffee. International Delight makes four different flavors of their Iced Coffee: Original, Mocha, Vanilla, and their new flavor- Caramel Macchiato. 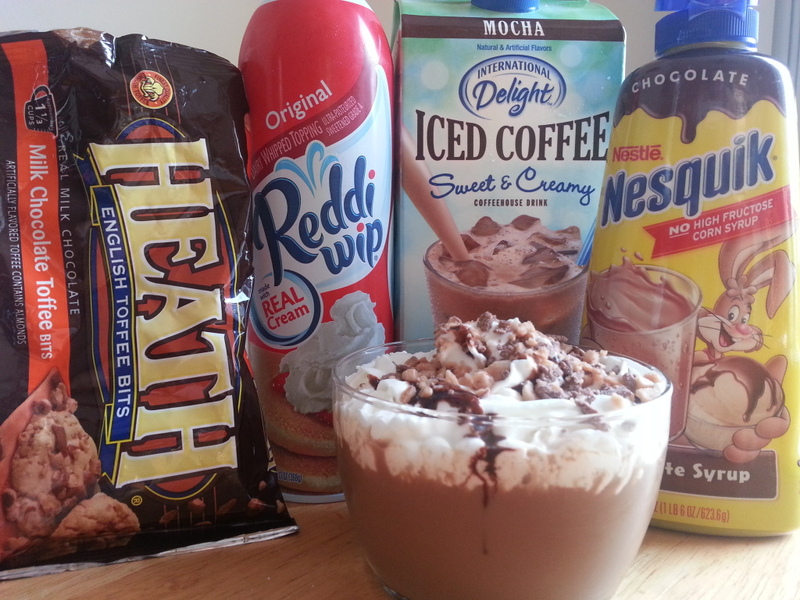 As time passed I searched for creative ways to make new drinks with the Iced Coffee. One of my favorite ways to enjoy it is to add whipped cream, chocolate syrup, and toffee bits on top. Even more delicious would be to add a pump of toffee syrup to it! Yum! 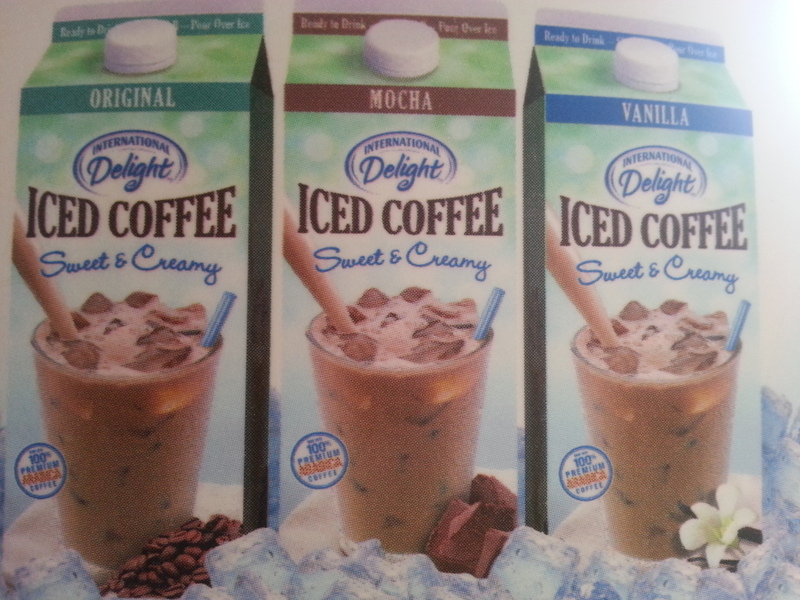 My favorite flavors of the International Delight Iced Coffee are the Mocha and Caramel Macchiato. Sinisa likes the Mocha and my mom loves the Vanilla. Have you tried it yet? What flavor is your favorite? This sounds really good. I’d like to try the Mocha! I’ve only tried the Mocha and the Vanilla, and I like Mocha best too. 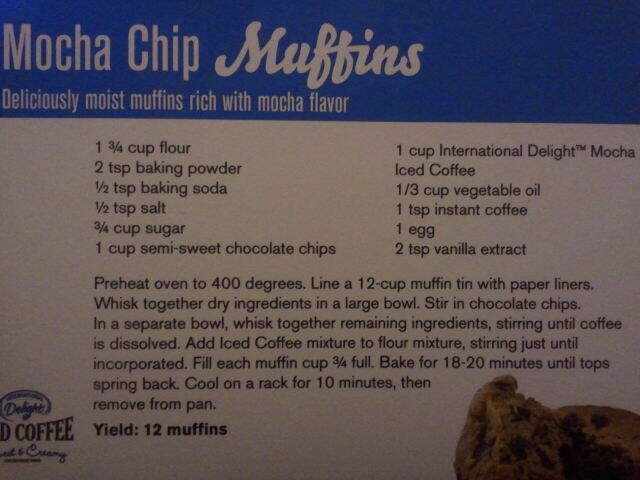 I love the mocha muffin recipe – I’m going to try that soon! Thanks!